Review: Playing the Fazioli F212 piano at the NAMM trade show, I found it to be a delight to play. I found that it had a perfect touch/tone correlation meaning that my intention of dynamic level matched perfectly to the corresponding response in not only volume but timbre. As you play quietly, the timbre is soft and felty and when you turn up the heat, it delivers this strident sound. 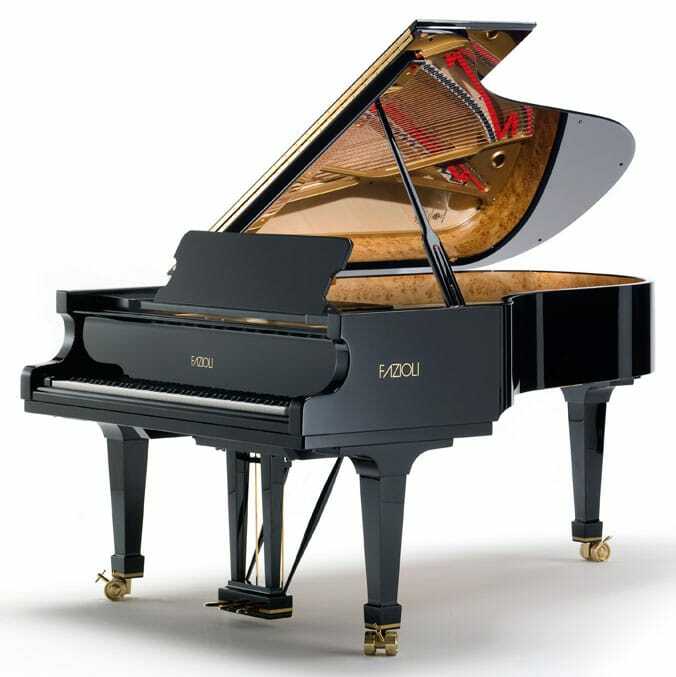 Fazioli is among the world stage boutique makers and the F212 fits as a perfect companion to the larger F228 and concert F278 models in the line. Impeccably finished and a delight to play. For more information on Fazioli, refer to our interview with Paolo Fazioli.